Below is all the information we have about Henry Drewett. As far as we know, the information is correct. However, if you find any errors or have additional information, certificates or pictures, please contact us so that we can update this page. Thank you. The death occurred on Thursday of Mr. Henry Drewett, at the age of 88. 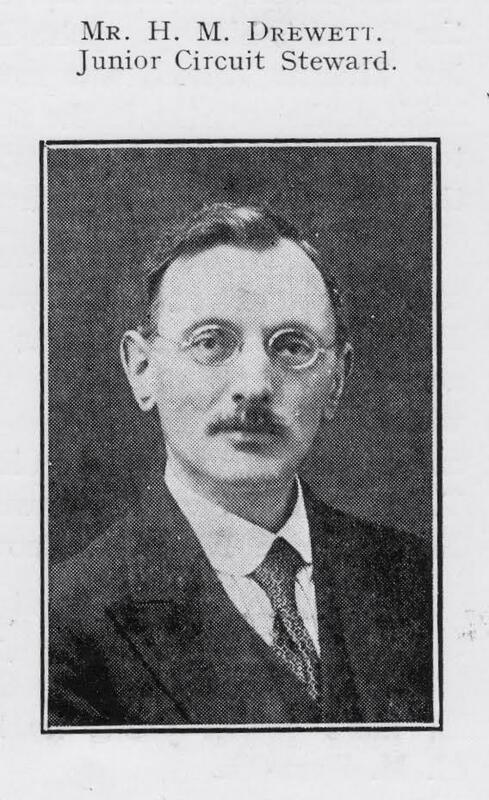 Mr. Drewett came to Newbury in his early days and was employed at Messrs. Church Bros., later Forrest Stores Ltd., where he remained until he retired. He had been a life-long member of the Methodist Church and was presented with a diploma of honour, after 53 years service as a Sunday School teacher. The funeral took place on Saturday, the service being held in the Methodist Church, Bartholomew-street, the Rev. A. Russell Potts officiating. Mr. Griffin was at the organ. 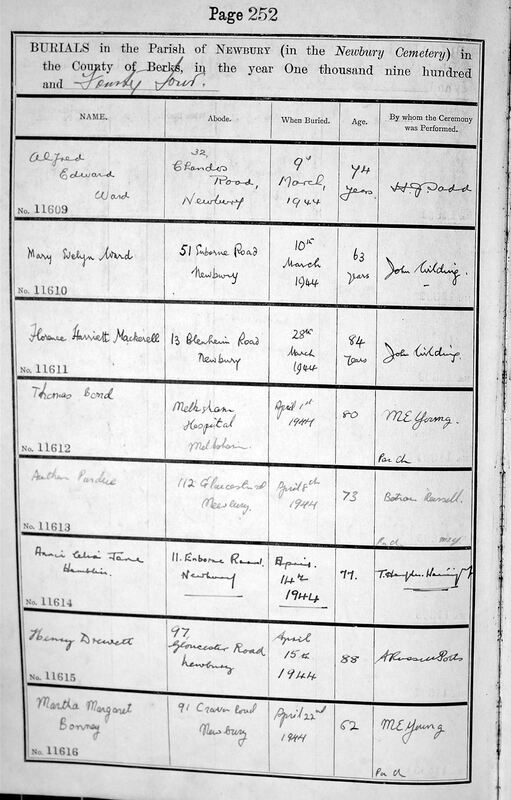 The family mourners were: Mr. H. Drewett (son), Miss E. Drewett (daughter), Mrs. H. Drewett (daughter-in-law), Mrs. J. Crawley (sister-in-law), Mr. and Mrs. Bickernell (brother and sister-in-law), Mrs. Slater (niece), Mr.and Mrs. C. Griffin (nephew and niece), Mrs. Percy Griffin (niece), Mr. and Mrs. V. Griffin (nephew and niece), Mrs. Springthorpe and Mrs. V. Lovegrove (nieces).